Elz, Germany is a photograph by Susan Maxwell Schmidt which was uploaded on July 25th, 2016. 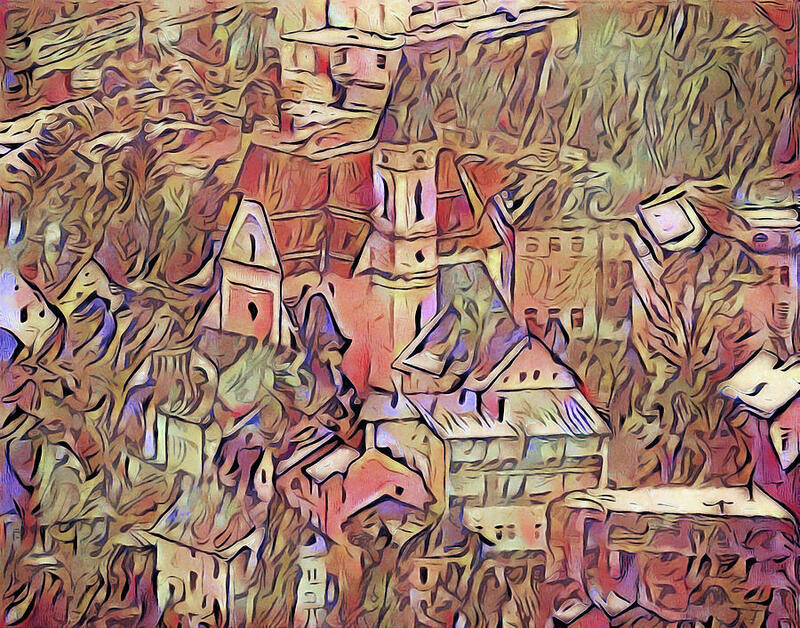 A digital pastel painting of town of Elz, Germany with the Parish of Saint John the Baptist at its center, created from my original photograph. I used a digital pastel color palette of beige, brown, coral, rose pink, purple, orange and yellow in my stylized European landscape. Please visit my Land Escapes art gallery to see all my landscape artwork. Copyright 2016 Susan Maxwell Schmidt, all rights reserved. Congratulations for the feature of your artwork on the Greeting Cards For All Occasions homepage, voted! Your magically unique approach creates a fabulous fantasy view of this town, Susan!